BMW Motorrad is all set to be launched by Torque Motors Trading — the authorised distributor — here in Nepal. 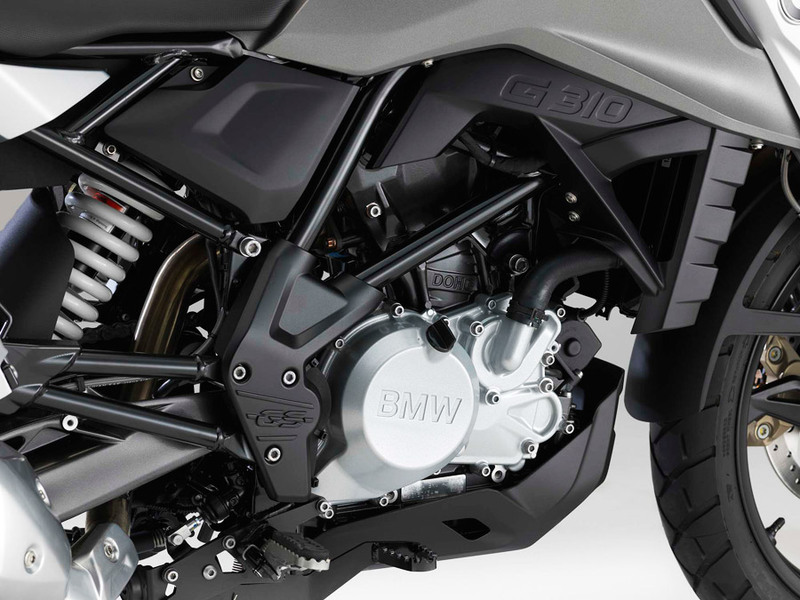 The all-new entry-level BMW G 310 R and G 310 GS is open for booking at a starting price of Rs. 9,50,000 and Rs. 10,90,000 respectively. The duo is made in India by BMW Motorrad partnered with TVS which is heavily inspired by its bigger siblings S 1000 R and GS adventure series that make the bike look appealing. Its cousin TVS RR 310 was launched back at the NADA Auto Show in Nepal which gained a hefty attention and the BMW won’t be an exception here, with both bikes set to grab most of the people’s attention. And to your consent, it is the first time that a brand with such a prestigious value like BMW is entering the market of Nepal. 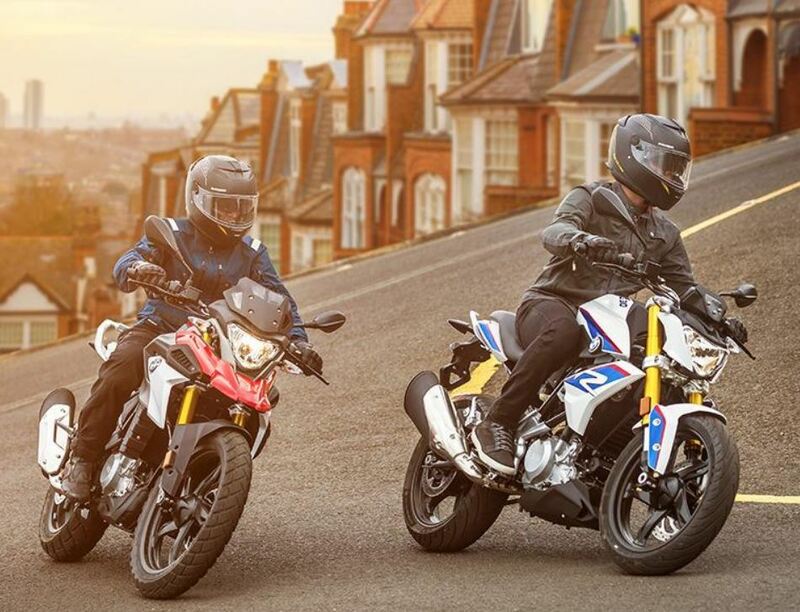 The BMW G 310 R is a roadster bike whereas the G 310 GS is the ADV motorcycle. Both bikes look different from each other but get the same engine that we’ve seen in the Apache RR 310. The G 310 R is a street fighter with a clean muscular design language that has a chunkier fuel tank, an aggressive side panel, and underbelly protector. It gets the simple halogen settings in the front and LED at the rear that goes well with the overall body design. The 43mm upside-down front forks and rear mono-shock add some flavours to its design giving the ground clearance of 165mm and wheelbase of 1380mm. It gets 17-inch alloys wheels where braking is taken care via a single 300mm front disc and a 240mm rear disc. It gets dual-channel ABS as standard. It weights at 158.5kgs. On the other hand, the G 310 GS is the adventure tourer bike targeted to the different set of riders. The company is taking a step into the market where no other major company has yet come up with the entry-level ADV bike in Nepal. As the adventure bike, it gets the taller seat height, off-road foot pegs, long travel suspension, dual purpose tire of 19-inch, ground clearance of 180mm, taller front fender, grab-rails and a windscreen that makes it look an authentic ADV bike. It also gets the same single 300mm front disc and a 240mm rear disc alongside the ABS as standard. All of these aesthetic adds on an 11kg more weight that sums up to 168.5kgs that makes the bike look bigger. Both bikes are powered by a 313cc, single-cylinder, liquid-cooled engine that produces 34PS at 9500rpm, and 28Nm at 7500rpm paired with a 6-speed transmission. It can go 0-6okmph in 3.70sec and 0-100kmph in 7.50sec and has top speed up to 143kmph. 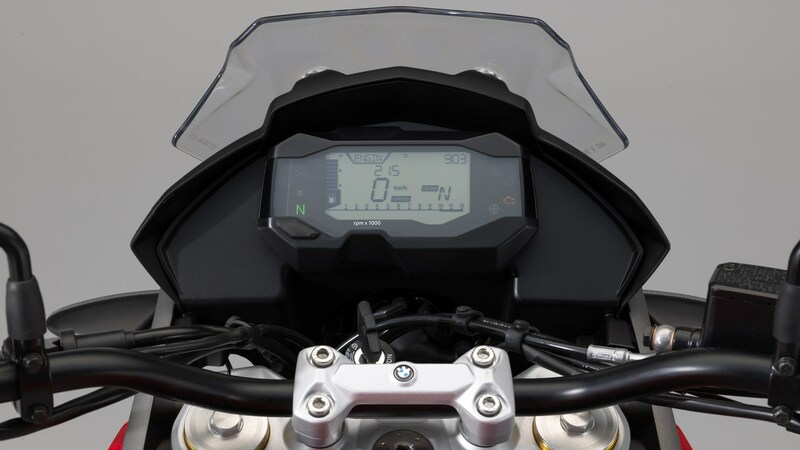 Both of the bikes get the digital instrument console that displays speedometer, tachometer, odometer, clock, temperature, dear indicator, ABS light, and others. However, both miss out on the slipper clutch for enhanced riding experience. The duo can hold up to 11-litre petrol with a mileage of 30kmpl. Likewise, they get the single seat piece but the one on the GS is set higher than the other one. The golden USD fork, the reverse inclined engine setting, the exhaust and the alloy wheels are familiar as we’ve seen on the RR 310. To sum it up, it seems like BMW has not compromised in terms of fit and finish of the bikes making it a premium two-wheeler in the market, which is pretty much expected from a brand like BMW. The BMW G310 R and G 310 GS will be offered in 3 shades namely Racing Red, Cosmic Black and Pearl White Metallic and will have a warranty period of 3 years.